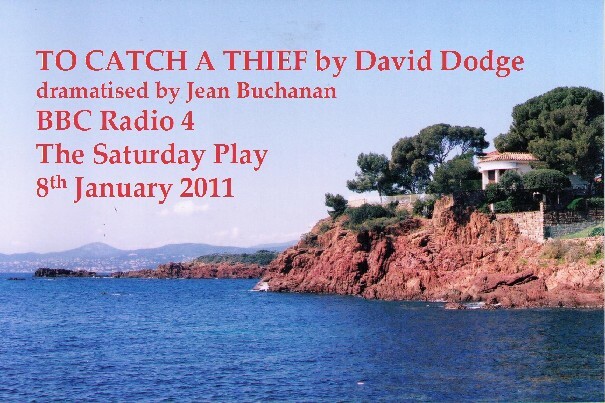 American writer David Dodge is the author of the novel behind Alfred Hitchcocks iconic 1955 film, in which the Côte dAzur is as stunningly beautiful and glamorous as the stars, Grace Kelly and Cary Grant. Jean Buchanans adaptation of To Catch a Thief (the novel, 1952) is directed in Bristol by Sara Davies and stars Jeff Harding as John Robie and Jennifer Lee Jellicorse as Francie Stevens. Other members of the cast are Laura Brook, Aurelie Amblard, Alun Raglan, Simon Armstrong, and Martin Sorrell. The Hitchcock film differs considerably from the novel, which was inspired by a real incident—a jewel-robbery at a very grand villa near the modest villa that Dodge and his wife were renting. The police even suspected David Dodge, then recently arrived in France, of being the daring cat-burglar. 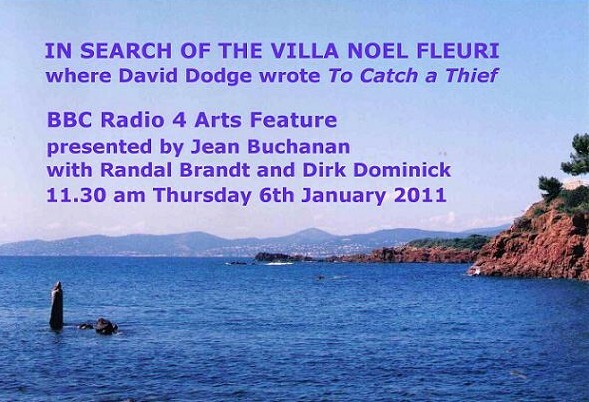 With the assistance of Randal Brandt and Dirk Dominick, Jean Buchanan attempts to find the Dodges villa in the BBC Radio 4 Arts Feature In Search of the Villa Noel Fleuri, produced by Marya Burgess. Photographs courtesy of Jean Buchanan.